Are you meeting your customers when and where they are? Satisfying their requests, addressing their concerns, applauding their support or even just listening and learning? 60% of consumers expect a reply from companies or brands within an hour of their initial social media post. American societal expectations are instantaneous and our fast-paced existence has made us impatient. Twitter is a great platform for businesses and brands to have conversations as messages are passed back and forth rapidly and responses appear almost real-time. Did you know there are 328 million active Twitter users on a monthly basis? Twitter is a social media site that brings consumers, public figures, businesses, news and sports together in one location. Posts, known as “tweets,” range from text-based (less than 140 characters), to images and videos. Tweets can also include hashtags (#), which help make posts visible to a larger audience. Tweets are shareable, and can easily have a domino effect after being shared. More people will become aware of your brand or product the more your Twitter content is shared. Eighty-four percent of shoppers on Twitter use it to search for promotions and product reviews. Twitter is very useful for generating leads. The best practices for doing so include using short and concise tweets with a link or call-to-action. Refrain from using hashtags, mentions or multiple links as this will distract the audience from the main message. Use Twitter analytics to determine what is and is not working. Follow industry influencers relevant to your business, including commenting on their posts and these influencers may do the same by following you back. This will give your tweets a wider audience from a trusted source. Industry influencers also give you great content to interact with through retweets and replies, and can be inspiration for your own content. Following competitors is also useful as you will know what they are sharing and what people are saying about them. Use Twitter’s advanced search to find influencers by clicking “Advanced Search” on top of your results page. Then select People to filter username search queries “From these accounts” and “To these accounts” so see Tweets about what certain users are saying about an industry or brand. Twitter is commonly used as a platform to complain about a company’s product or service. Effective businesses and brands use Twitter as an extension of customer service to quickly respond to concerns. Use Twitter to offer solutions and difuse a potentially negative situation before the issue goes viral. Since these tweets or conversations are public, it demonstrates corporate responsiveness and customer support. Customers purchasing a product or service may tweet their opinion about their experience. This offers organic and instant feedback that can help a company improve areas of weakness or further build on areas of strength. Did you know 76% of users are likely to recommend a brand if they’ve received friendly customer service on Twitter? Start by creating a Twitter handle containing the company’s name or the brand name. This will help users identify who they are following. Then pick a profile picture related to the company, most likely the logo. Companies should create a headline that explains their purpose for using Twitter or describes their product. Create tweets weeks ahead of corporate news, product launches or new brand positioning to ensure high-quality messaging that increases engagement. Twitter enables advance scheduling, including date and time of day. Make sure to plan ahead for holidays and vacation times. 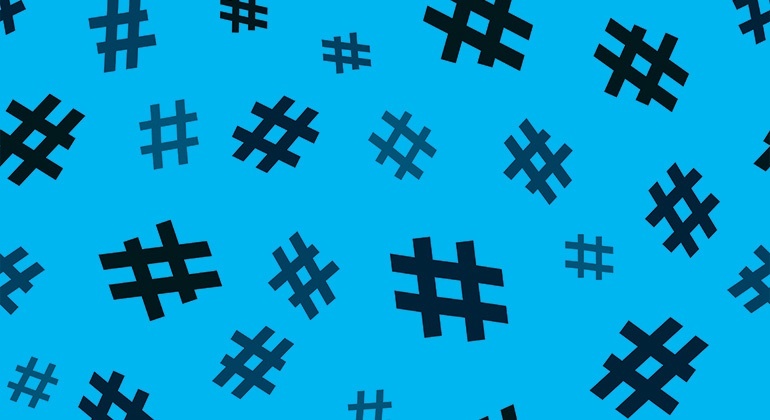 Did you know Tweets with hashtags get two times more engagement than tweets without hashtags? Hashtags engage others in conversations by making it easy to find all tweets that reference a hashtag. Simply click on a hashtag or search for it and all tweets using that hashtag will show up. Look for trending issues and create tweets using the hashtag to increase the chances of your tweet being seen by thousands. According to the Social Science Research Network, 65% of people are visual learners. This is why using images is so important to social media success. People are three times more likely to view, like or retweet a tweet if there is an image attached to it. A combination of text and images is a very popular form of tweeting. Twitter began in 2006, and has been progressing since. In order for Twitter to stay successful it’s looking for ways to improve. Some new features that may be coming out in the near future are a bookmarking feature and a new character limit. Twitter has a new limit of 280 characters. But don't feel the need to use all 280 characters! Research shows that shorter tweets have more engagement—so say what you need to say, but keep it as short and simple as possible. Keith Coleman, VP of Product at Twitter, stated in a tweet, “fresh out of HackWeek and coming soon—a new way to save tweets to read later.” Users will be able to save tweets to read later when they have more time. Many tweets are difficult to find again since there are about 500 million tweets per day, so this will be beneficial in order to catch up on things that are missed. Twitter is a great tool for increasing brand awareness, generating leads, improving customer support and receiving instant feedback. It’s never too late to get started and create a company account.